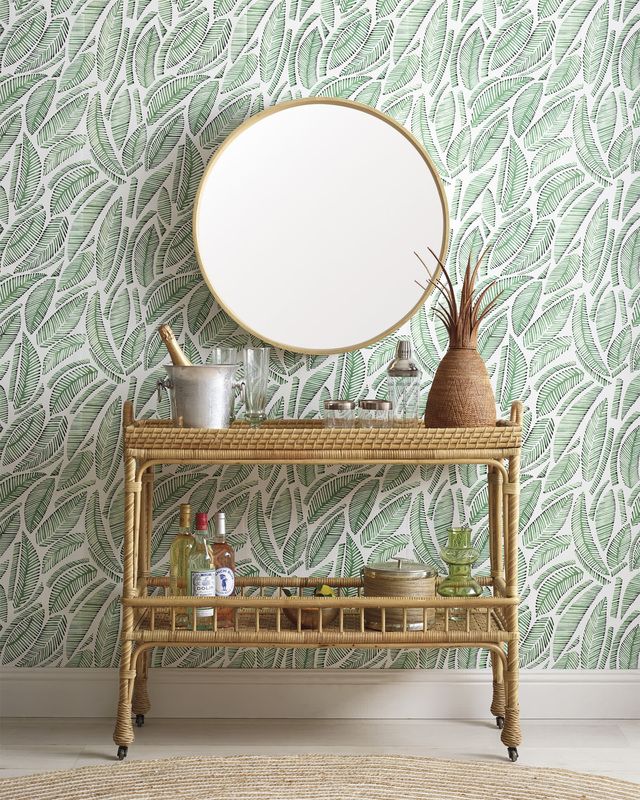 South Seas Bar CartSouth Seas Bar Cart, Natural alt="South Seas Bar Cart, Natural"
Print Have cocktails, will travel. 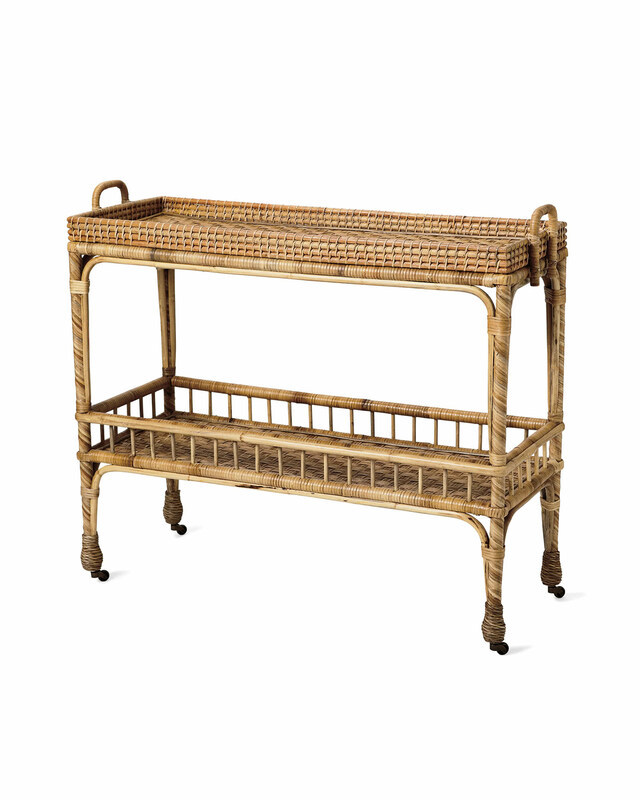 Set atop smooth-rolling brass casters, this entertaining essential also doubles as a fabulous console table. 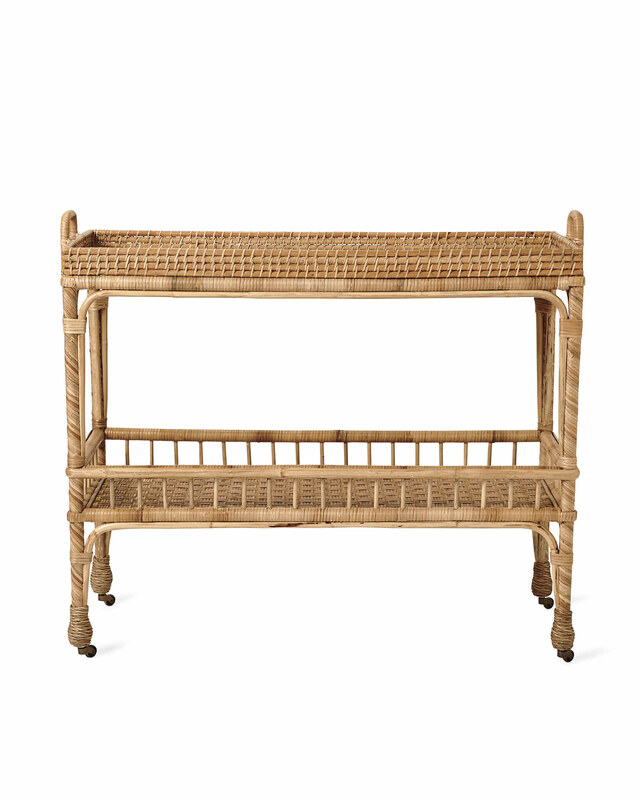 The design is inspired by a mid-century antique and pays homage to the textural beauty of handwoven rattan. A rail on the bottom keeps bottles and barware in place, and sturdy handles on each end make it easy to work the room.